Helping you achieve your goals and leverage LinkedIn and other social tools as marketing levers to amplify your brand, generate leads and grow your network. Get the Personal Branding Basics on LinkedIn infographic today! 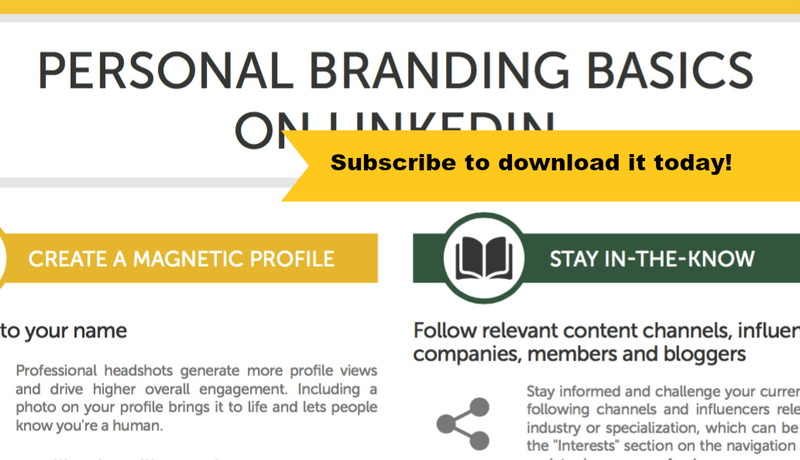 SUBSCRIBE to our Making Connections Matter newsletter to download the FREE Personal Branding Basics on LinkedIn infographic and then get the latest LinkedIn tips and networking insights delivered right to your inbox! Click HERE to get the good stuff! Want one-on-one help? Just get in touch and we’ll set a time to discuss your current situation and how we can improve on it! Bella Domain Media is Sandy Jones-Kaminski’s west coast-based consultancy offering creative marketing services and goal implementation for entrepreneurs, professionals, and business owners interested in experiencing their next level of success. Want free connecting tips, LinkedIn tricks and downloads? Want to be LinkedIn Savvy? Get this ebook! Bella Domain Media is on LinkedIn! Urgent need? Pick my brain by the minute! Get my latest tips for maximizing LinkedIn! Copyright © 2019 Bella Domain Media: Business Networking, LinkedIn Training, Social Selling Strategy, Small Business Consulting, Personal Branding for Professionals. Powered by WordPress. Theme: Spacious by ThemeGrill. DISCLAIMER: SOME HYPERLINKS ON THIS WEBSITE AND BLOG MAY BE AFFILIATE LINKS AND COULD RESULT IN COMMISSIONS FOR BELLA DOMAIN MEDIA BUT I NEVER ENDORSE PRODUCTS OR PEOPLE THAT I DO NOT BELIEVE IN SO PLEASE EXPLORE.